Post with tag "online slots"
Microgaming has added to its collection of HTML5 games; Football Star and Treasure Palace are now live. Bright graphics, striking animations and a fan-filled stadium set the scene in this five reel, 243 ways-to-win slot. There are plenty of crowd-pleasing features within the game, including the chance to win up to 25 free spins with a 10x multiplier. The game comprises the familiar features, Rolling Reels™ and Stacked Wilds, which are available in both the base game and free spins round. There’s also a brand new feature, Striking Wild, which occurs randomly in the base game and will strike an entire reel wild. 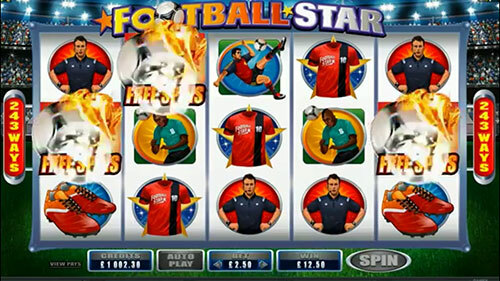 Football Star is another cross-platform game release from Microgaming; the game went live on HTML5 on the 8th of May, the same day it launched on Microgaming’s Flash, download and Quickfire platforms as well as in Poker and Bingo. 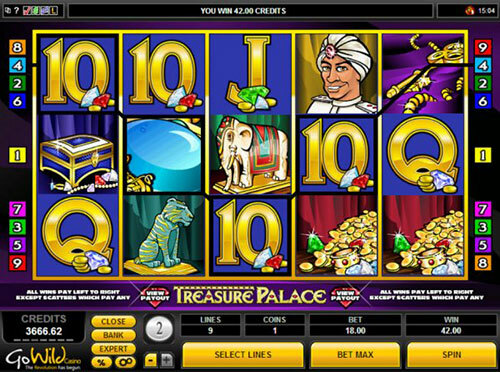 Players will have treasure at their fingertips with Treasure Palace, a five reel, nine payline slot. The reels are full of things that sparkle with eye-catching jewels, diamonds and treasure chests. 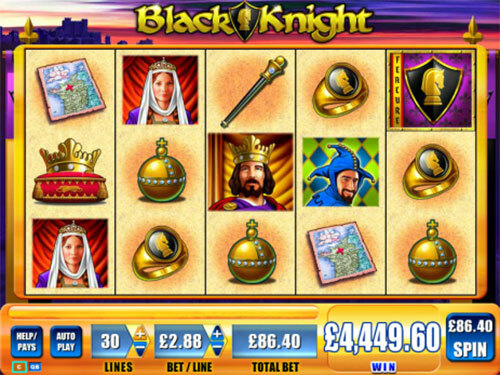 The key to big wins lies with the scatter and wild symbols, with a golden jackpot of 10,000 coins on offer. Treasure Palace went live with operators on the 8th of May. Neill Whyte, Head of Product Channels at Microgaming, comments: "As we look forward to the start of the world’s largest football tournament, Football Star is the perfect launch for May. Both mobile and online players will be able to experience this striking game on any device!" Microgaming is launching two new casino games in May, Football Star and Cool Wolf slots. The world’s greatest sporting event is just weeks away and so Microgaming is releasing a football-themed online slot, Football Star, to appeal to footy fans around the globe. Football Star is the second cross-platform game release from Microgaming, following the release of High Society in April. The slot goes live on Microgaming’s Flash, download, HTML5 and Quickfire platforms simultaneously on the 8th May. The five reel, 243 ways-to-win online slot, Cool Wolf, is a light-hearted, retro-themed game bringing a shiny pink Cadillac, a smiling hero and a set of cheerleaders to the pack. Howling wins are available during gameplay through wilds, free spins and Rolling Reels™. The game’s maximum jackpot is a staggering £105,000! 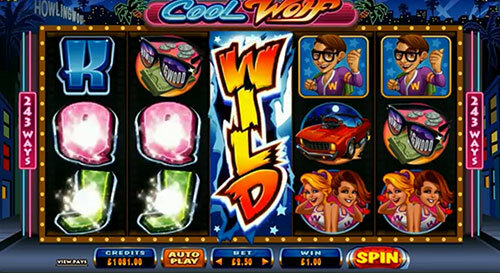 Cool Wolf goes live on Microgaming’s Flash, download and Quickfire platforms on the 8th May. Mike Hebden, Head of Casino at Microgaming, comments: "We know it’s important to offer timely and relevant games to our operators’ players and that’s why we’re releasing Football Star in May. This game adds to our collection of football-themed games such as Shoot! and Soccer Safari, which we know will be popular over the next few months. To celebrate the release of Football Star to our operators, we’re launching a brilliant promotion whereby operators on our network can give their players the opportunity to win a real-life Football Star experience, in Rio, in July! For us, it’s not just about delivering a game; it’s about delivering the ultimate experience." All Slots online casino is preparing to make you an offer you simply can’t refuse, this January. When you join All Slots Casino, you will be eligible to receive one of the finest welcome bonuses in the online casino world. Get up to £500 in your very first week of gameplay over at All Slots Casino, when you decide to sign up with them now, to play your favourite online casino games. After the registration process is complete, you can begin going about claiming a series of welcome bonuses, for your maiden deposits. The very first deposit that you drop into All Slots Casino, will be treated with a 100% match deposit bonus, valid up to a total of a mighty £200. The second deposit that you make at the domain is worth a 25% match, valid up to £100. Once you have completed your third deposit, you can claim up to £100 via a 50% match. The goodies just keep on coming though, with an additional match deposit bonus on your fourth deposit. This offer comes as another 25% match, and of course, it too is valid up to a total of £100. It isn’t all about those welcome bonuses though. All Slots Casino likes to offer monthly and weekly bonuses on a continual basis, and they are also keen on offering shares of large pots to their players, via table game tournaments and slot competitions. One of their lengthier promotions is the cash back bonuses. Once you have acquired your initial welcome bonuses, you can then go about bagging even more match deposit deals, free bonus cash, free spins and other goodies. You could recoup as much as £5,000 over the course of your first full year playing at All Slots Casino, in offers that simply cannot be beaten! To start the New Year with a bang, Microgaming launches its Lucky Koi video slot which sends players to the tranquil and serene Far East. Lucky Koi is a five reel, 25 payline video slot with an Asian theme, depicted through exquisite scenery and fitting symbols. The game provides plenty of chances to win big with scatters, wild pays and free spins. First of all, the Lucky Koi logo acts as the wild giving gamers the chance to build winning combinations by substituting for other symbols. 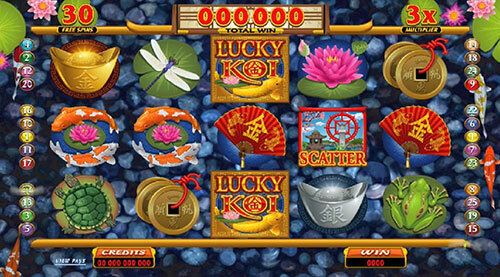 Furthermore, three, four or five stone lantern scatter symbols will trigger a bonus choice feature; at this stage, the player can choose between the free spins feature and the Koi Bonus. If the player picks the free spins feature they are awarded a random bonus of between 10 and 30 free spins with a multiplier of up to 5x. Alternatively, if the Koi Bonus is selected, the player will embark on an interactive fishing trip at the Koi pond. Armed with a bamboo fishing pole, the player is given between three and six opportunities to catch a Nishikigoi fish, which can earn them big rewards. Mike Hebden, Head of Casino at Microgaming, comments: "Lucky Koi is a brilliant new game to bring in the New Year with. The slot’s aesthetic appeal combined with its rewarding features will make it very popular among online players. Lucky Koi is the first of many new and exciting additions to Microgaming’s casino games portfolio for 2014 – there’s plenty more to look forward to in the coming months." He fought with a heart of a lion, Bruce Lee™ the man, the icon, the legend. See the man, spin the reels and meet your destiny with up to 20 free spins. Bruce Lee™ features wilds, scatters and a powerful free spin feature can start by 3 different meth­ods and can re-trigger adding additional free spins. 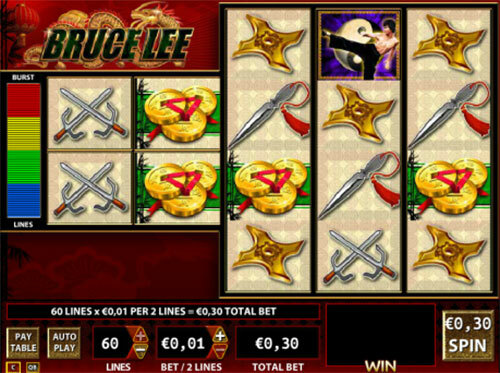 Bruce Lee™ is based on the Money Burst Engine, a highly volatile, free spin-based slot with expanding and stacked wilds in a unique slot interface. Play now! He vowed to fight for the glory of his kingdom, to win riches and honour his fair maiden. The black knight now rides for you appearing on reels and expanding to fill the entire reel for the entire free spin round. Black Knight features wilds, scatters and a powerful free spin feature with expanding and sticky wilds that cover an entire reel. Black Knight is based on the G+ Engine, which is a line of volatile, pri­marily free spin-based games with a streamlined interface. Play now!